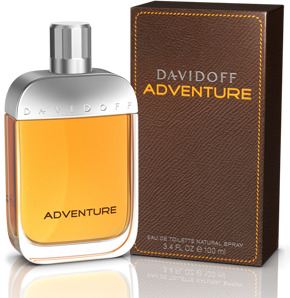 Adventure (Eau de Toilette) is a perfume by Davidoff for men and was released in 2008. The scent is woody-spicy. It is being marketed by Coty. 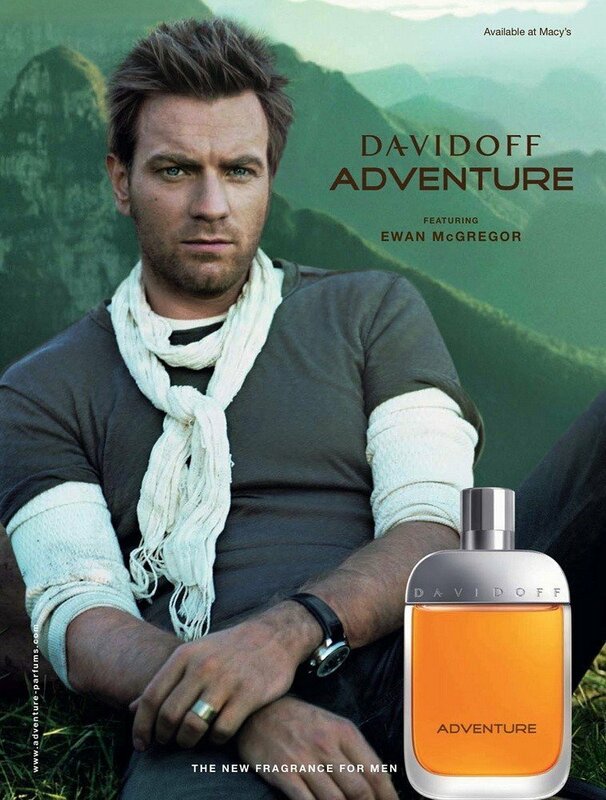 The face of the advertising campaign photographed by Steven Klein is the Scottish actor and singer Ewan McGregor. The commercial for the fragrance was shot by director Seb Edwards. Someone stops his car on a dusty road in Arizona to eat a dry roll. He drinks lukewarm mineral water from a "Gallon-bottle" to swallow the crumbs. He loses a lot of dusty lumps, which are then carried everywhere by the wind. The sand crunches under his sandals, and he curses quietly to himself, "If only I were already at home. To enjoy my Milly's delicious food!!" And he smells of his aftershave of the morning. And this mixture makes it possible to describe the scent to some extent. Dry, dusty heat that tickles like pepper in the nose. In addition a light, green-dry fruitiness. The pimento then adds a scoop. Like the hot burning noon sun of the Wild West. Only after longer wearing time the smell becomes a little bit milder, later even "cool", like nights in the desert, if the temperature drops strongly A cedary-harsh hint and an aroma of earthy grass. I don't want to tear up a scent "in the air" here, but this is my very personal impression, although "Adventure" is still an olfactory work of art. On my skin it is just a bit too "sharp" for me like grains of sand that are blown at me by the wind. And a little too dry - hot, as just so strangely described. It is a fresh scent. Suit with it's name Adventure. Citrus scents bring a sparkle on the top and middle notes. The longevity of the fragrance is okay. For non 4-seasons countries, it is suitable on day time. The longevity can hold around 5-6 hours. Surprisingly, if involve in an active activity, the longevity would be better, that may last to 6-7 hours. For the 4-seasons countries, the longevity may can long-last to 5-6 hours. The performance is okay. The top notes may hold longer than middle and base notes. The scent is in better performance if involve to an active activity. The sillage is okay too. Not overrated or underrated, just on the par. Not so much uniqueness for the Davidoff Adventure. A scent that will not give a trademark or attract surrounding people. The bottle design is ordinary. Easy to use but ordinary. Good cologne with interesting mid notes, but then dries down to a weak cedar base. The notes in the piramid should work great, but it's not this case. Lasting power is below average (2 hours maximum) and also projection is weak.